Your main task is to grow 16 trash plants from scratch using your own trash to start them. You must grow them all from scratch -- from piles of trash. Plants have 10 quality levels: Normal, Nice, Very Nice, Good, Great, Excellent, Superb, Magnificent, Pristine, and Perfect. You must then evolve all 16 trash plants to the perfect level. 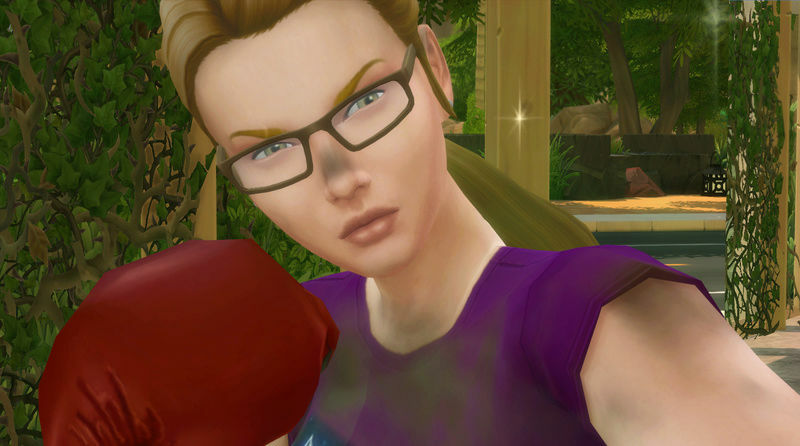 Get to a level two in herbalism (to make the deodorizing cream), your sim must max out skills in dancing and gardening and complete the Friend of the World Aspiration. 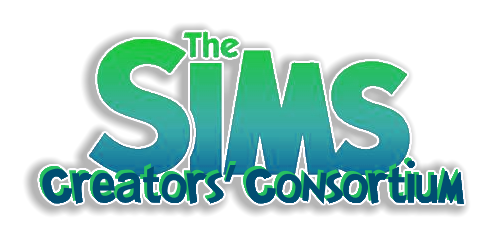 Your sim must save at least $15,000 from collecting, fishing and rummaging for food and items to sell. decide on whether to pay or not to pay your bills. You may fish the waters and sell the fish you catch, but you can ONLY eat the bonefish purchased from the Murkland Mercantile Company though the special fish bowl you have on your lot. travel to any other worlds except to Granite Falls. make money on paintings or wood carvings. use the bathrooms at individual residences because these are for the residents only with the exception of bushes. move in with another sim, have a sim move in with them, or marry a sim. If you decide not to pay your bills, the Murkland Mercantile Company will not restock your cooler at home (so please remove it from the lot). 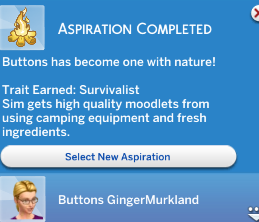 For both lots in Acquisition Faction: your sim must have a Level 7 in gardening and a Level 8 in Charisma to visit these two lots. 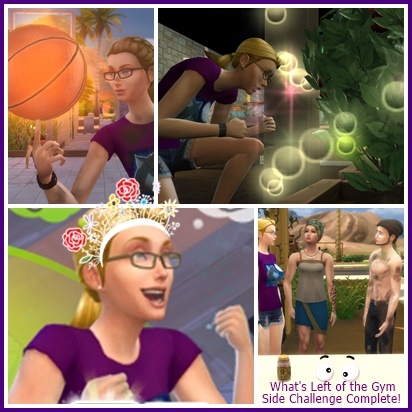 They may become friends with either household if they meet these sims around town but they cannot visit those sims at their homes until the appropriate skills have been met. Aging is either turned off or on long life for this challenge. Collect, fish and rummage for food and items to sell. You may also sell trash fruit which you grow, but your sim must eat trash fruit at least once a day since it is a Murkland staple. You may fish the waters and sell the fish you catch, but you can ONLY eat the bonefish purchased from the Murkland Mercantile Company though the special fish bowl you have on your lot. You can grill or roast the bonefish. You can collect any wild plant and sell it or eat it but you can only grow trash plants. You can grill anything on the outdoor grill (grilled fish must be bonefish), roast anything at the campfire (roasted fish must be bonefish), rummage for food in any trashcan and you can eat anything from the coolers around town that are restocked by the Murkland Mercantile Company. only use the cell phone to get to Granite Falls. they cannot bring anything with them. They must sleep on the log benches. They can grill, roast and use the coolers for food. Or they can rummage in trashcans. Granite Falls, your sim may use the public bathrooms but only use the shower option on Mondays, Wednesdays and Fridays and only the brisk option (your Sim may use the bathroom option at any time). Your sim may befriend the hermit. When in Murkland, you sim may wash up at the Murkland Hot Springs but due to limited fresh water sources they may only use the springs on Mondays, Wednesdays and Fridays. Your sim is allowed to eat at any restaurants or food stalls that may exist in Murkland. use the vendor’s table for selling items around town. use the travel together option for sims they already know to go to a particular lot together. They must grow relationships face to face. Use of facilities -- you may only use bushes around town. I have an optional side step challenge for you. This one is called, "What's Left of the Gym Challenge." It's an optional challenge which can be completed between Challenge 1 and Challenge 2. • Make $15,000 from selling the two herbal remedies, and from playing for tips. Do not sell your harvestables or collectables. Keep them. You may want them for Challenge 2. • For fun, you may play the violin or guitar. Don’t forget to bring an instrument with you if you have one. If you don’t have one you may purchase one at the store. • Don’t’ forget to bring your vending table with you. • Avoid fishing during this challenge. Oh good! Another story to look forward to! Athletic and Herbalism skills maxed. Outdoor Enthusiast Aspiration Achieved. 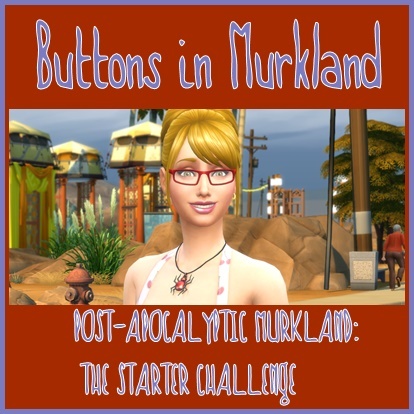 Congrats on completing the challenge, Buttons! I don't know if I should watch yet or not. I want to be surprised. I put the 'park' ( really looked cool!) in my game and went to play Fern but couldn't get the game to come up. Finally realized I'd have to delete the last play before installing the new lot. Which I did and all was OK. Not sure what went wrong. Did anyone else have problems with, or from, the 'park' lot. I can't imagine what went wrong but am now afraid to put it in the game. Not realty sure why your game would not open. It should not have been the park though. Maybe because it replaces the Oasis Springs park?